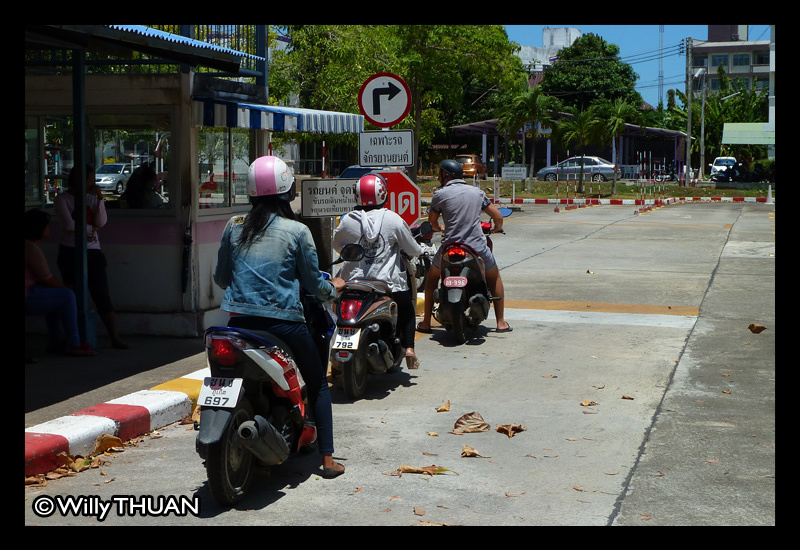 How to get a driving license in Phuket… If you plan to stay in Phuket for a while, you probably will consider renting or buying a motorbike, in which case you will need a driving license. 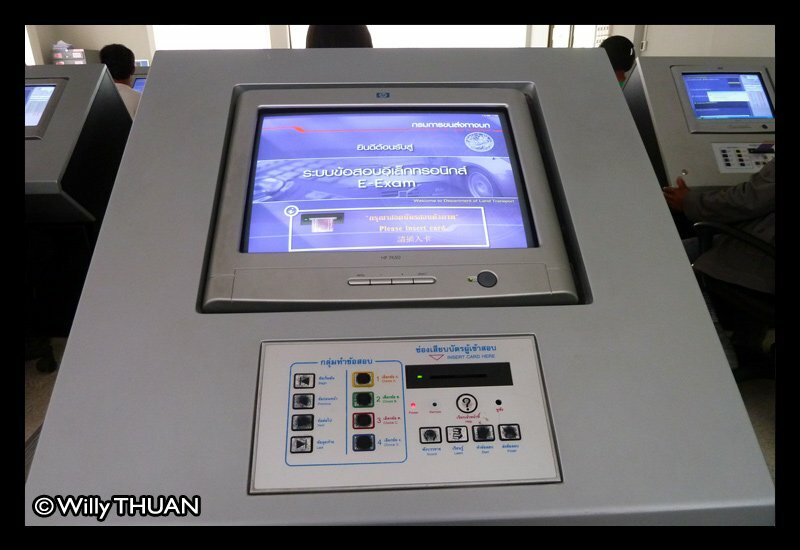 If you have an international one, then you have no problem, but if you don’t, driving without a Thai license will open the door to potential and serious problems. 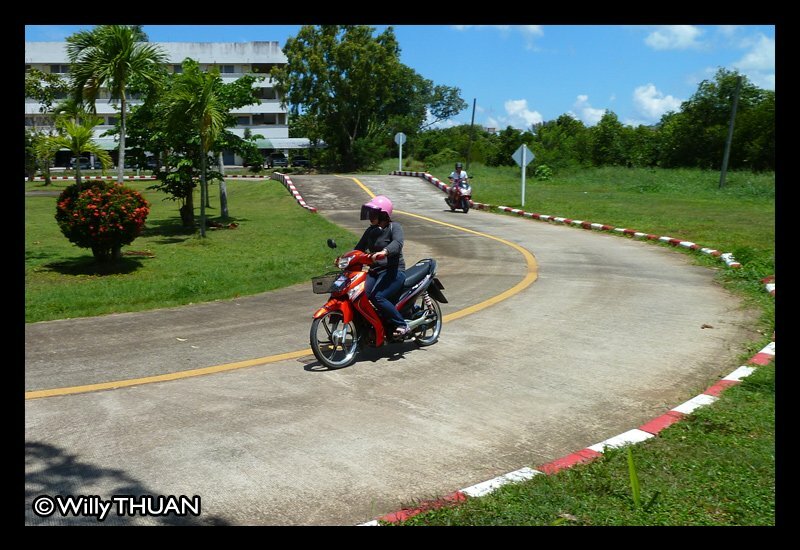 The smallest of them is to be stopped by police, especially in Patong or Chalong where they know they can make a lot of pocket money on tourist as most of them don’t carry one when renting a bike. 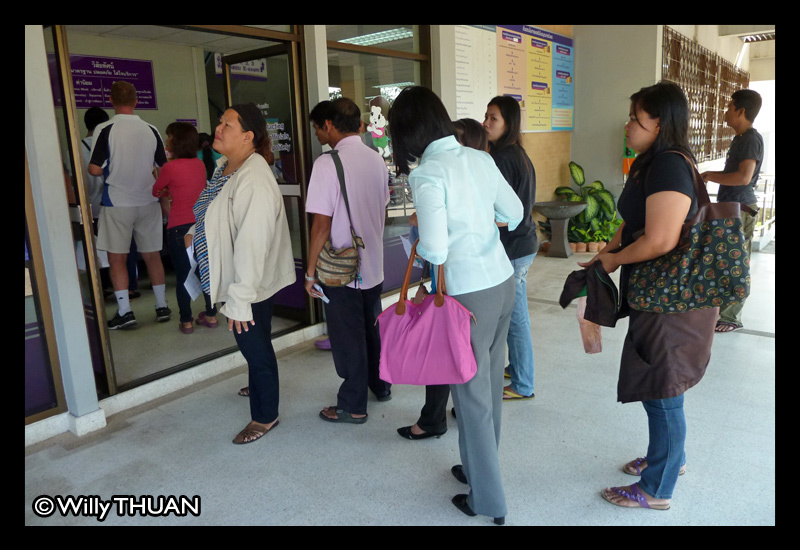 If you claim that you forgot it at home, the fine is 1000 baht but on average you will be charged 300 baht. 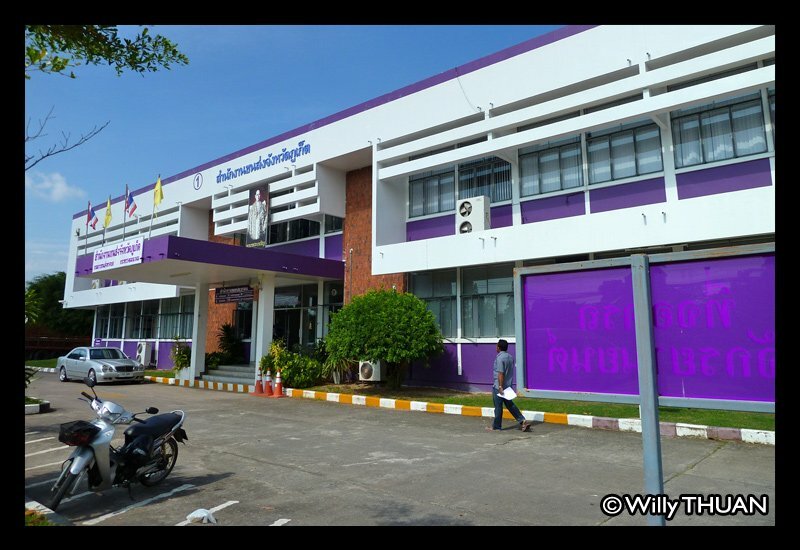 In most cases you can settle the problem on the spot, even if you have to pay a bit more as the time wasted to go to the police station plus the round trip by motorbike taxi or tuk tuk will cost you more anyway. More serious is the case of an accident. Without a license you would be considered the wrong driver whatever the circumstances of the accident were. Insurance basically don’t really apply. This might be the end of your holiday, or worse. There will also be the classic color blindness tests but as the cards start to be faded, it is a bit hard to tell. Once these are successfully completed you’ll be asked to come back for the second part at 10 am. You could bring a book or an ipad, but the place is very hot and it’s not fun. 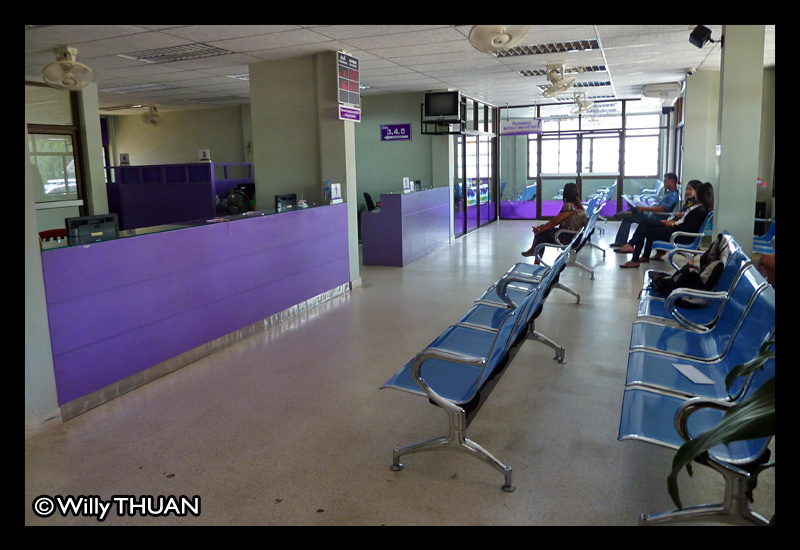 As you came by bike like everyone else, go have a coffee in Phuket town, it is a better alternative, or if you didn’t study at home, learn your traffic road signs from the signboards on the walls and practice the question on the computer made available for this purpose in the waiting room. At 10 am, a lady will take you to a classroom and give you a short but clear brief of what is the video and test are about and strongly recommending you not to even think of using a third party company to get your license done or to get a fake one. 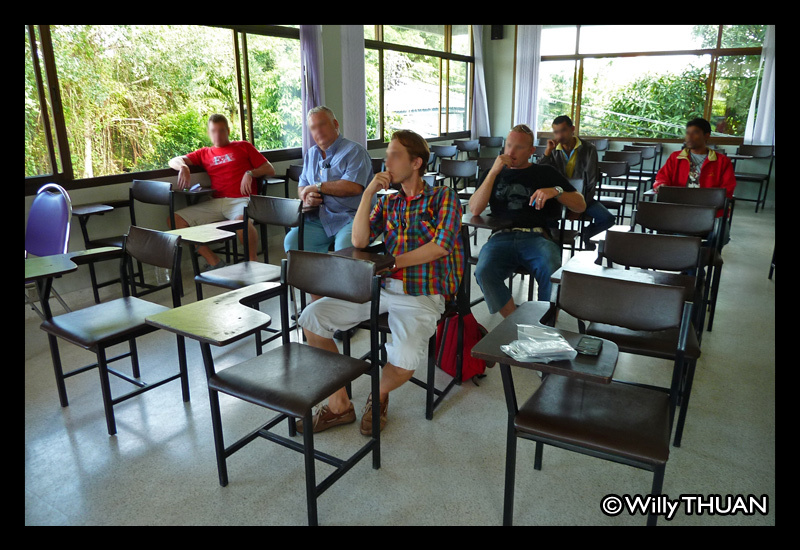 The English video lasts maybe 30 mn, soundtrack is not very good and the TV sets are quite small so a good advice is to sit at the first rows, which is usually easy as almost everyone does what they used to do at school: run for the back seats… big mistake! 😀 What will be said is important and fortunately, despite the poor sound the English narration is very good. This 14 or 15 chapters video is the key of your test success so be attentive… a good clue is that when it is important, it is repeated two or three times. A lot of questions rotate around ‘where to park and not to park’, U-turns, who goes first at intersections and when to take over. Note that there are questions about traffic signs, but none are explained in the video, you need to learn the BEFORE you get there. 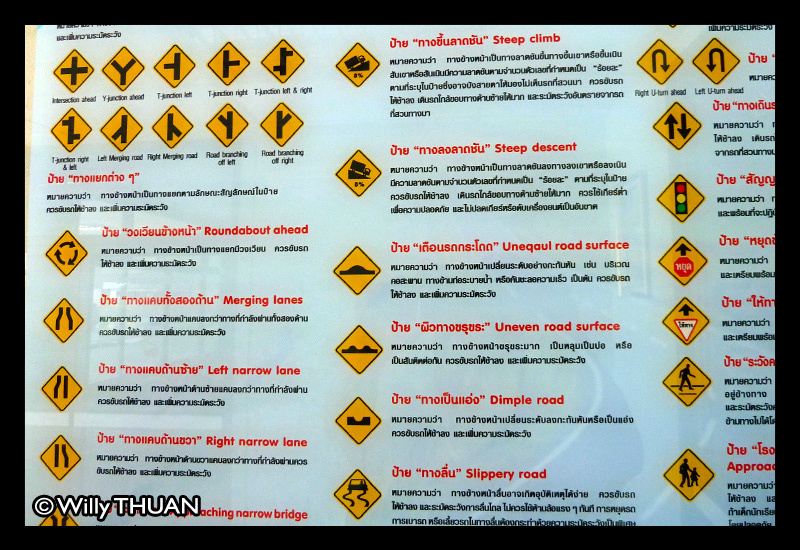 You can review most of Thailand Road Signs here, they are not much different from sign in your country, but you might be surprised by how little we remember. Once you are done with the video, trying to hold few figures in your head, you’ll be taken to the next room full of numbered computers resembling old arcade games. 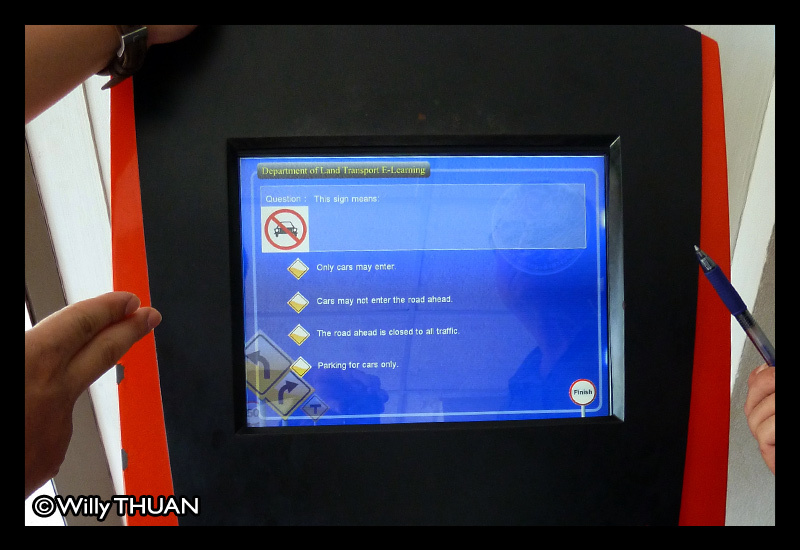 Insert the card you will be given and the game start: one question with or without illustration, 4 possible answers. You have one hour to answer 30 questions which is more than necessary. Here is a tip that actually was my downfall the first time: when you answer a question, the dot in front of the question on the right hand of the screen will turn GREEN, this does NOT mean it is correct, it just means you answered it! As all my questions were turning green, I was building confidence and started to answer faster. You just need 23 correct answers out of 30 to pass, so with all my green dots I thought I was real good at this game… wrong! When the verdict ‘Failed’ fell, I was in shock! For my defense, some of the questions were really weird and some other questions came back 3 times! So as you cannot take the test twice the same day, you’ll have to sacrifice another day, the lady will keep your documents in the room up to 3 months so you don’t have to go through the first phase and just show up at 10 am. The good thing is that if you fail the first time, succeeding the second time feels like the day you got your first driving license when you were 18! 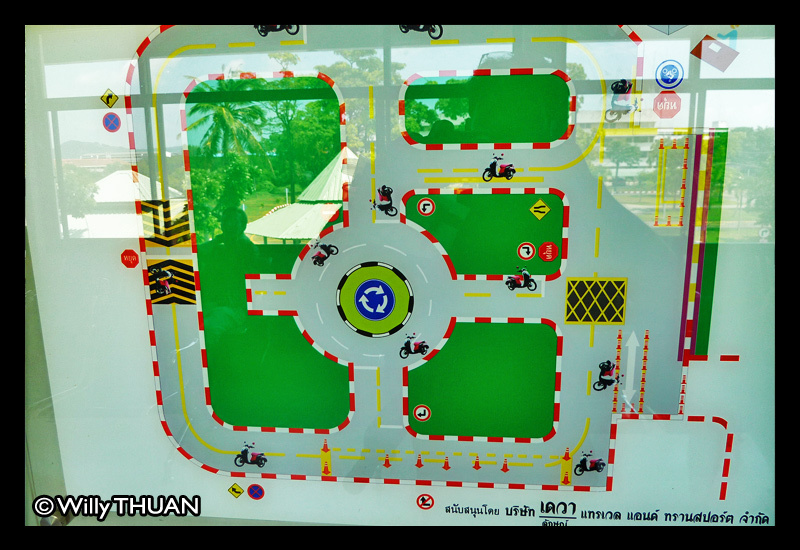 Once you successfully passed your theory, you will or go and collect your license in case of a renewal, or will have to come back at 1pm for the driving test, which is usually a walk in the park (or a piece of cake) as all the people coming to get their license come… by bike! 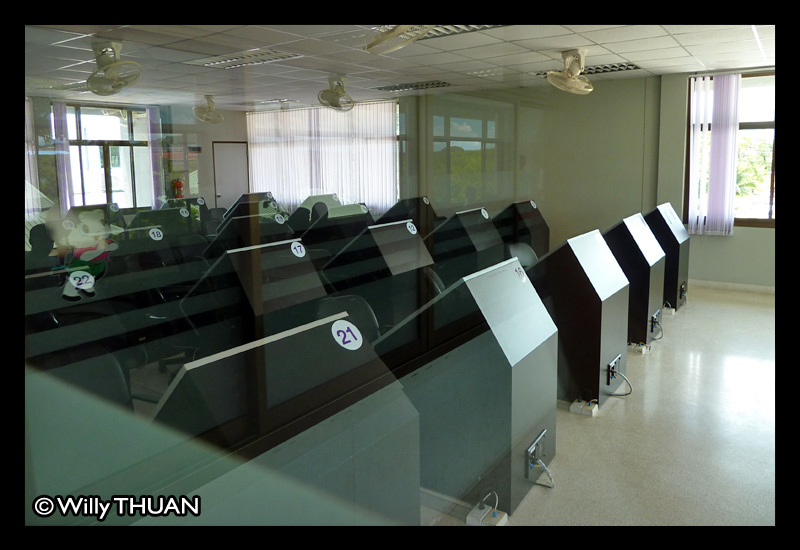 Prices for a license renewal is 160 baht, for an expired license renewal 360 baht and for a brand new one I don’t know but will find out soon, I was too excited to ask. 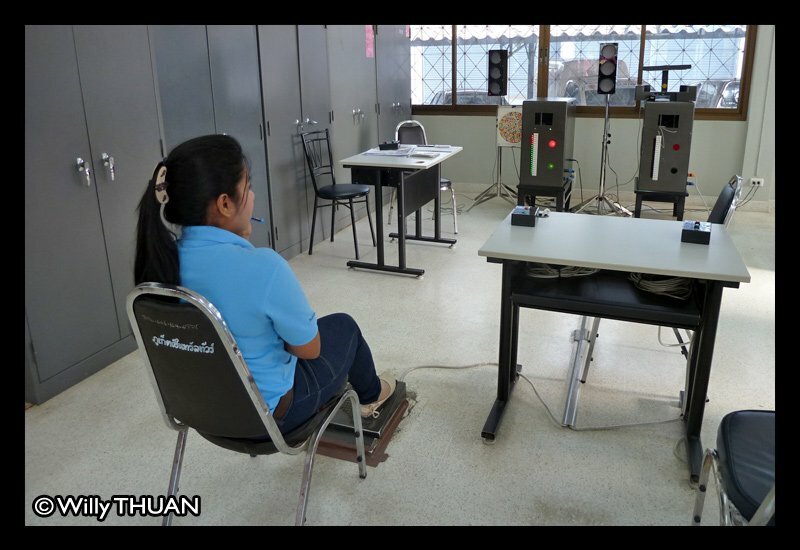 Once all paperwork has been duly done, move to desk 5 where the lady will retake your photo with her own camera and print you a beautiful shiny driving license right there, in just one minute! The first license is valid for a year, the next one for five years. 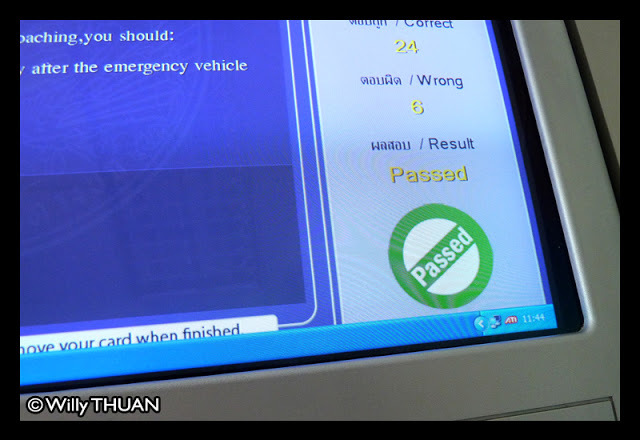 If the license has expired, you would be charged a small fee when stopped by police, maybe 300 baht, but worse: if like me, your license has expired for more than a year, you’ll have to take the whole theory test again! (not the driving. Congratulations, you are now safe to drive, but don’t forget it at home and do wear your helmet! Disclaimer: This is my personal experience and things may vary, especially for the required documents. Please go and check first!